Dixon, Joseph K. (fl. 1908-1924) Landscape with cemetery and three Native American men. Gilder Lehrman Collection #: GLC03911.08.04 Author/Creator: Dixon, Joseph K. (fl. 1908-1924) Place Written: Big Horn County, Montana Type: Photograph Date: [1908-1920] Pagination: 1 photograph : b&w ; 20 x 26 cm. Summary of Content: Inscribed "2550" in pencil on verso. 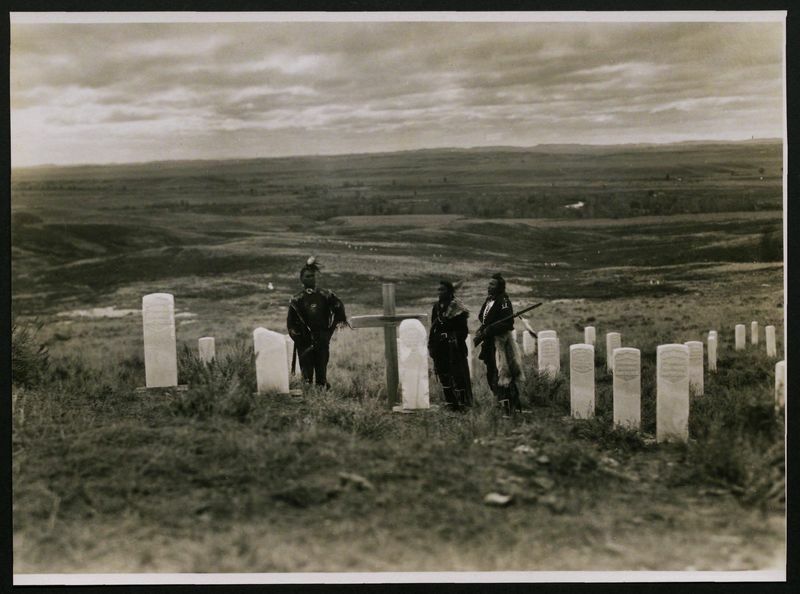 Three Native Americans, one with a rifle, standing among US Army cemetary markers at the site of the battle of Little Bighorn.